In June 2017 Indian exports increased by 4.39% and reached to $ 23.56 billion. The reason for this increase is the increase in exports of chemicals, engineering and marine products, as per the official data. In June 2017 from $ 30.68 billion the imports of India also increased by 19% reaching to $ 36.52 billion in the same month of the previous year. This is mainly due to the rise in oil and gold imports of the country. 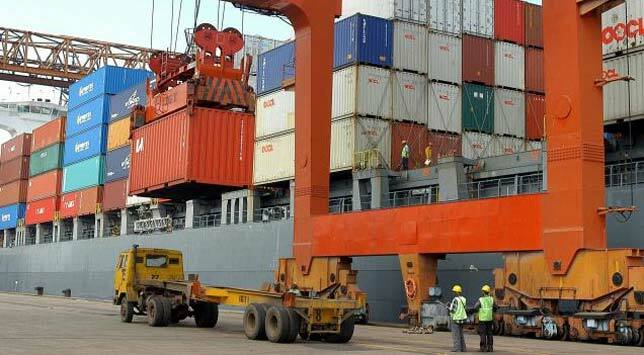 In June 2017, the rise in import has increased the trade deficit of the country to $ 12.96 billion from $ 8.11 billion in the same month of last year, as per the data from the Commerce Ministry. In June 2017 Gold shipments almost doubled and reached to $ 2.45 billion from $ 1.20 billion import in the same month of the last year. In June 2016, when compared with oil imports the happened, the value of oil import in the month under scrutiny is $ 8.12 billion which shows a rise of 12.04 %. During the first quarter of FY 2017-18, reaching to $ 72.21 billion the Exports increased by 10.57%. Making the trade deficit reach $ 40 billion, the imports ascended by 32.78% to $ 112.2 billion. Continuously, the exports of the country have been increasing from last 10 months. The shipments of engineering goods rise by 14.8%, the export growth was led. Gems and Jewelry export fell by 2.7% whereas Export of petroleum products increased by 3.6%.